In addition to the fantastic taste of their coffee beans (seriously, they're so good), my favorite thing about Heartwood Roastery is that they view coffee as a lifestyle. It's really a way to bring people together more than anything! So I decided to share a lazy Saturday morning cup of coffee with my coffee buddy for life, Howie! 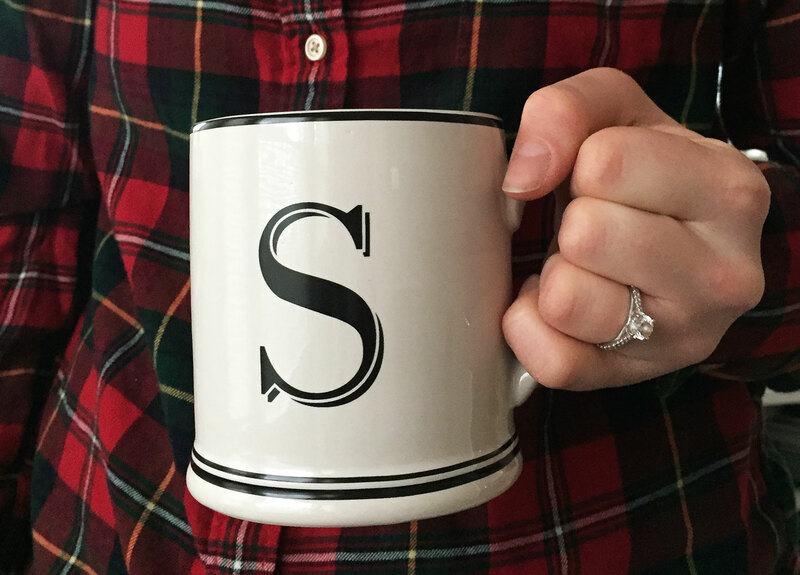 One of our favorite parts of the weekend is spending quality time together, lounging on the couch in our pajamas with a big cup of coffee in hand. 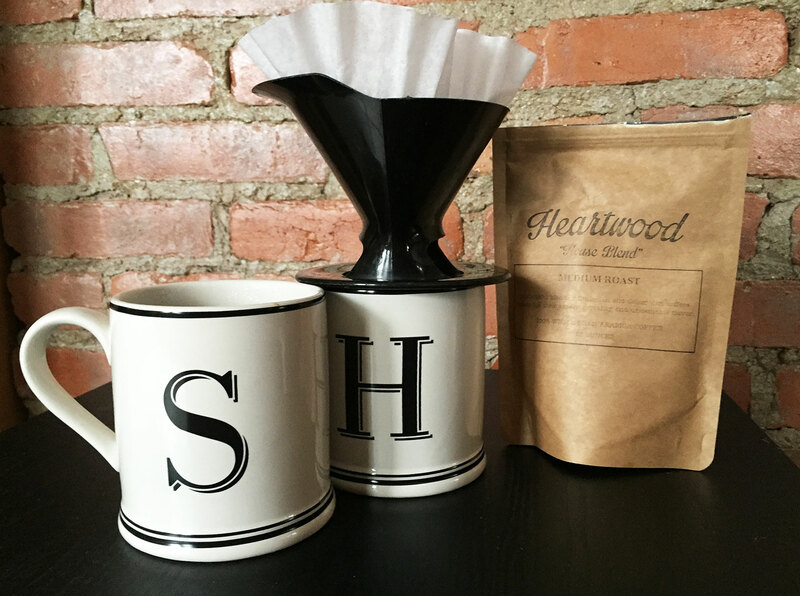 We tried Heartwood's House Blend, which is a medium roast blend of Ethiopian and Columbian coffee beans. We couldn't stop talking about is how flavorful and bold the taste of the coffee is, but how it leaves almost a silky after-taste on your tongue. It's exactly what we both love! Did I mention it tastes especially great when you drink it out of matching initial mugs? Kidding. We're such dorks! Another awesome thing about Heartwood Roastery? They offer subscriptions! It's exactly what you've always dreamed of - fresh locally roasted beans delivered right to your door every 2 weeks. If you click here, you can get a free 2 oz. sample of coffee to try it out yourself! Or you can click here to buy a single bag for yourself or a friend. It's a guilt-free indulgence; you're supporting a local business that, in turn, gives back to the community - they use a portion of their profits to plant new trees around the world! Now what are you waiting for? 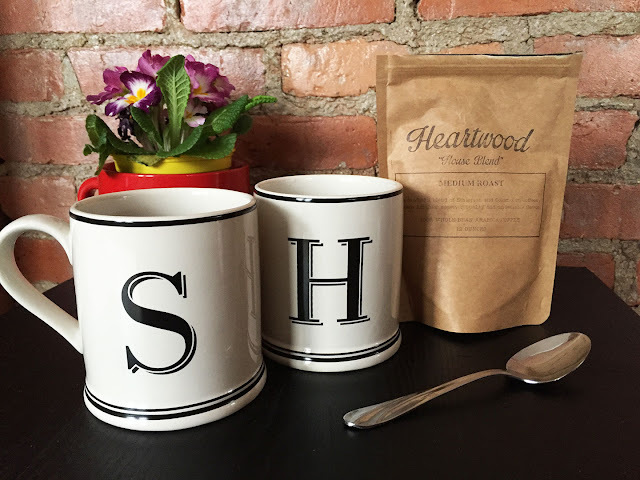 I swear, you haven't lived until you've tried a cup of Heartwood Roastery's coffee! 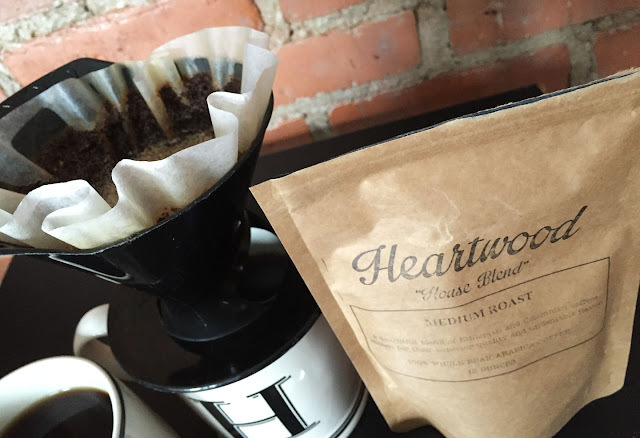 Thank you Heartwood Roastery for sponsoring this post. It's the best coffee around! Mmmmmmm..... Love me some Heartwood Coffee!! !